Build your own Quantum Levitation maglev track! 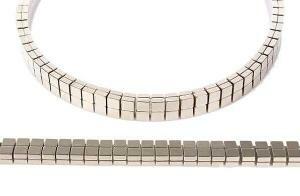 Use super-strong NdFeB magnets to construct a flexible linear magnetic track. Experience frictionless motion in both levitation and suspension. Excellent for science projects and science classes. Adult supervision is required during construction and operation. Ordering information: The Pro Kit comes with Small / Medium Quantum Levitator; Plastic tweezers; 150 / 300 NdFeB block magnets (10×10×5 mm3); Stainless steel track 40/80 cm; and User manual.